*Sign up now for our Summer Pony day camp-message us for info. Our cute red barn setup is perfect for a petting zoo addition at an affordable price, and best of all…. we set up and clean up! 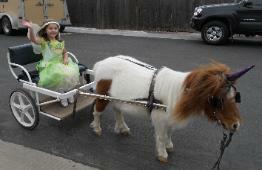 Pony cart rides and Saddle rides on our miniature ponies add something special too for little horse lovers! Daycare/Senior Centers and Home Childcare Providers check out our Animal Enrichment Program great for educating kids in an After-School Program too! Want to make your child’s birthday party really special? Want to bring smiles to parents’ and kid’s faces at your next church, community or corporate event or promotion? We’ll bring our cute animals to you! Want to take your students on a field trip? 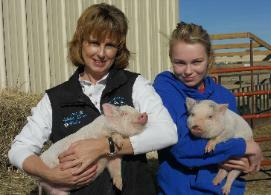 Come out for a private family farm visit! Consider our gentle, cute, and furry friends to promote your business or a family event. We really draw a crowd!! 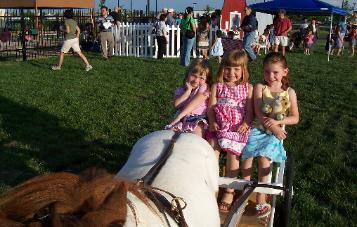 Contact us now to schedule your child’s next Pony Party or barnyard fun at our FARM or in your own back yard. Phone: 970-566-2193 or click on the Contact Us link for reservations or information.